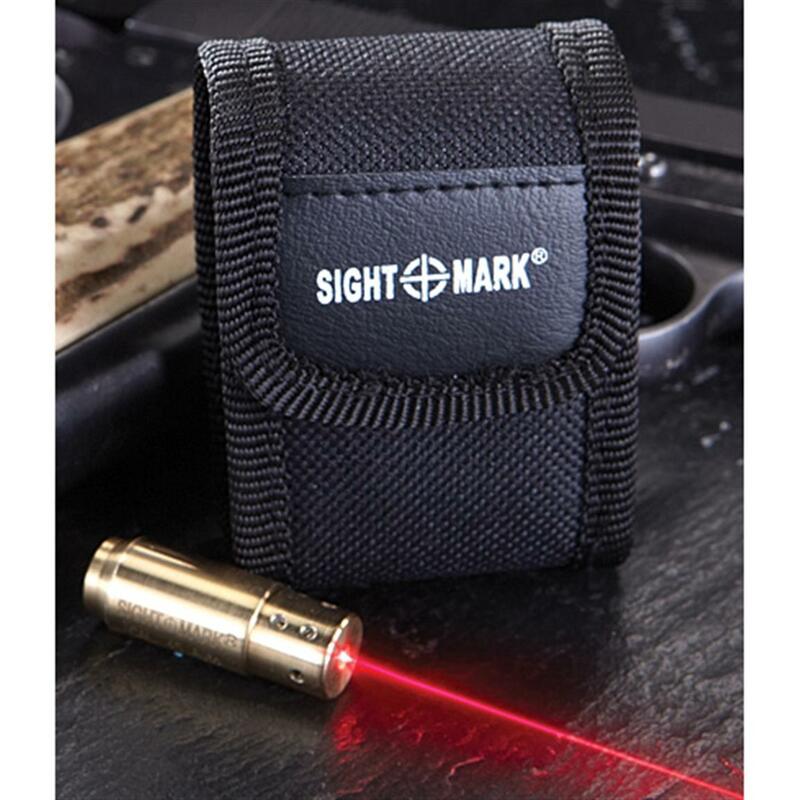 A Sightmark® Laser Pistol Boresighter gets you back on target faster and without wasting precious ammo. It's convenient, accurate and easy. All you do is chamber the unit as though it were a round, and a red laser dot will show you exactly where your aim will land the shot. From there, you can adjust your scope or sights without ever firing a shot! 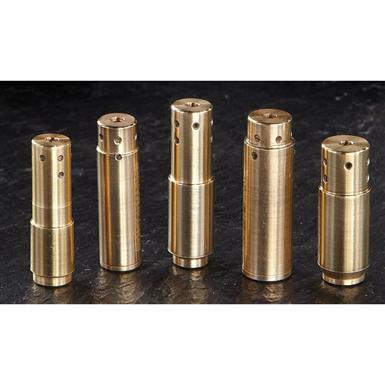 Several caliber-size housings are available to fit all of your favorite firearms. Don't replace... re-calibrate with a Sightmark® Laser Pistol Boresighter! Sightmark Laser Pistol Boresighter is rated 4.6 out of 5 by 138. Rated 1 out of 5 by Robert62 from Laser off center Quality control needs to be addressed. This is what sightmark sent back to me after the first one I bought and had sent back for a replacement. Same issue. Rated 4 out of 5 by Gator from Sightmark Laser for pistols. Works very well, but one needs a very small screwdriver to adjust the last so the it is correct when illuminated. Then you can verify that your rear sight is in the proper position. Can be hard to extract from the chamber. Rated 2 out of 5 by Andres913 from Poor design. From what I see the pistol bore sighters don't have rims like the rifle ones do therefore these get stuck in the chamber and need to take a rod, push it through the muzzle just to get it out. No rim for the extractor to catch and remove the bore sight. To me that is a flaw. All in all it may very well work, but I'm not a fan of needing a tool just to take it back out, both on a pistol and a carbine. I only give it the second star because it does line the sights up (from what I'm able to see so far anyways) we will see when I actually shoot my firearms I've used it for. Add rims for a better product. 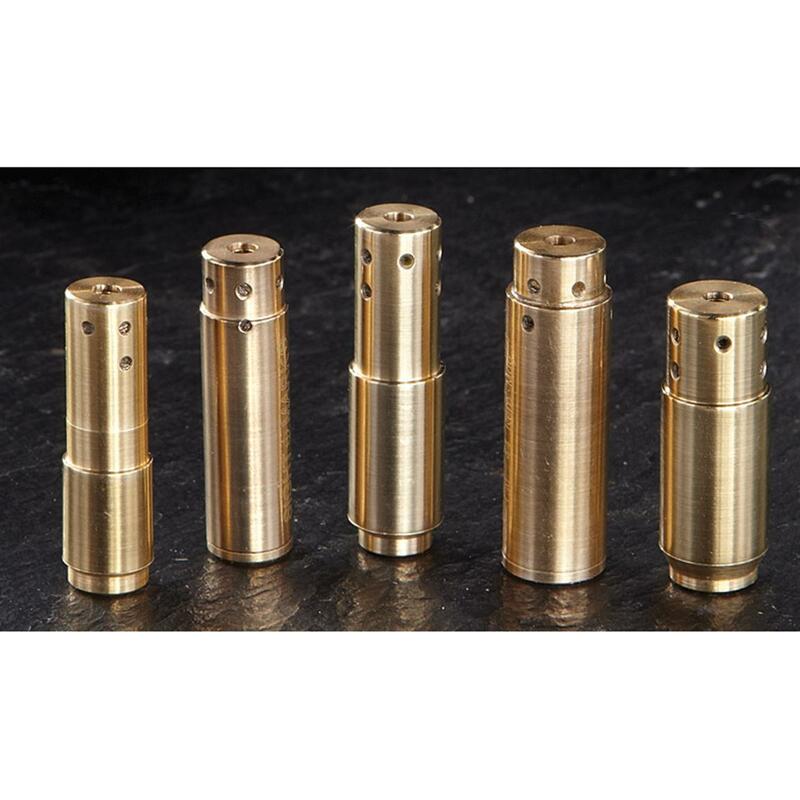 Rated 5 out of 5 by MikeE from Bullseye as always fast shipping, chambered in the gun adjusted sites took out put in ammo started shooting and great grouping on target, now I need some for my other guns. Rated 5 out of 5 by Jules from good price It worked fine , it did what it was supposed to do . Rated 5 out of 5 by Dennis from Excellent Tool! Perfect for sighting in rail mounted laser sights. I have also purchased other Sightmark products for sighting in scopes on my 12 ga and 44 mag and laser sights on my 40 cal and 45 cal. Easy to use! Rated 5 out of 5 by Skipatrol from Great item Received items on time and great condition. They worked great to rough sight in my scopes.